We’re excited to announce the first ServiceNow-focused RegoUniversity at the incredible Paradise Point Resort and Spa in San Diego, October 2-4, 2019. If you’re currently using ServiceNow for IT Business Management (ITBM) or considering moving to ServiceNow, this will be a great event for you. RegoUniversity is one of the most respected ITBM and Agile conferences in the world, and it’s the best place to network with peers in your industry. 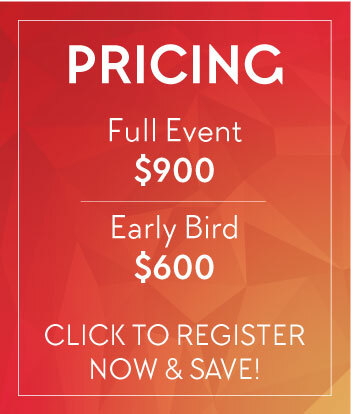 By attending the event you'll have access to the same consultants who have helped to guide over 600 organizations, including 40% of Fortune 100 companies and 60% of Fortune 20 companies. Whether you’re a seasoned practitioner or just starting, you'll find the right content to help you continue to shape ServiceNow ITBM to your process and vision in open labs and Functional, Technical, and Governance tracks. RegoU is a comprehensive place to learn PPM, APM, ITFM, Agile, Data Migrations, and Best Practices. Additionally, ServiceNow executives will also present an exclusive, RegoUniversity roadmap session. Be the first to reserve your spot for RegoUniversity. Early bird registration is only $600. We’d love to have you be part of our first year student body! Rego Consulting is the leading provider for ServiceNow IT Business Management (ITBM) solutions. Our 150 consultants have implemented solutions for 40% of the Fortune 100 and 60% of the Fortune 20, and we’re ready to help you maximize the return on your ServiceNow investment. Rego Guides, our expert-practitioners, specialize in ITBM and have deployed over 250 ITBM implementations. They've worked on the ground in IT leadership as PMO leaders, portfolio managers, resource managers, financial managers, and global enterprise architects. As the only ServiceNow ITBM Development Partner, our guides contributed to the Helsinki, Istanbul, Jakarta, Kingston, London, and APM releases. We leverage our knowledge of industry best practice to advise our clients, rather than just gather requirements and develop. Rego is a ServiceNow Silver Sales Partner and Silver Services Partner and was named among the 30 Most Innovative Companies of 2018 and the Top 10 Project Management Solution Providers of both 2017 and 2018. Rego is a founding member of the PPM Global Alliance. When you're not in ServiceNow sessions, relax in your bungalow-style guestroom, enjoy a bonfire on the beach, or hop aboard a pontoon boat to watch the sunset.There are plenty of direct flights to San Diego, and Paradise Point is only 15-minutes from San Diego International Airport. Free shuttle service provided. Enjoy the beauty of a private island. 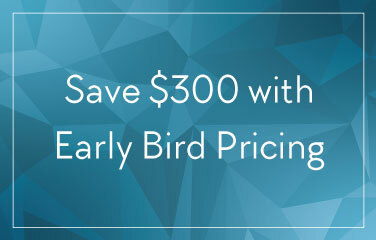 Register now to save $300 with Early Bird Pricing. Ready for RegoU 2019? Join us for networking and knowledge-sharing! "I've attended all the RegoUniversity events, and it's now become THE event to attend. The sessions are informative, relevant, and cover just about anything you'd need from technical through functional, to administration and governance. Plus, the price is amazing. 10/10"
Tucked away on gentle Mission Bay in the heart of San Diego, Paradise Point Resort & Spa features comfortable bungalow-style guestrooms amidst lush, tropical gardens, tranquil lagoons, and one mile of sandy beach next door to SeaWorld. Scattered across our 44-acre island, you'll find plenty of room to roam and relax at our Mission Bay hotel with five swimming pools, beach bonfire pits, a marina, five dining venues, an award-winning spa and endless recreation options. Paradise Point and its amenities offer a unique San Diego resort vacation experience for both families and couples with a location that is secluded, yet centrally situated; the airport, downtown San Diego and top attractions including Old Town, the San Diego Zoo, and Balboa Park are all just minutes away from our Mission Bay shores. Camille Pack has been in marketing for over a decade and started her career as a college composition instructor during graduate school. Technical writing lends itself well to mastery, and in her time at Rego, Camille has offered clients product support, configured environments, and served as both a project manager for an internal reporting group and a business analyst for a large external client. Camille holds an MA in Literature and Writing, a BS in Biology, and is currently Rego’s Marketing Director, where she helps share Rego’s expertise with organizations maturing Project and Portfolio Management.